Elite Painters is a painting contractor serving Riverside, California and surrounding areas. 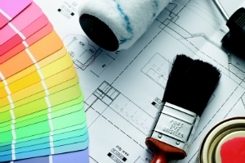 We have more than 18 years of experience in residential and commercial painting. Our skilled team of painters has built a reputation with local HOAs for complying with exterior painting codes for condos and community properties. Call Elite Painters at (909) 321-2176 to hire an experienced and professional local painter.